With a flurry of films on "follow your passion, the world be damned" in both Marathi and Hindi, you'd think there is only so much you can add. But, Natarang takes the concept a few notches higher. And this can be said about both the lead performance and the story. I very reluctantly confess that all of this happens only in the second half. The fight between passion and duty translates to a war between individualism and sacrifice of it. Individualism ain't a bad word. When you talk about your rights, you always would like to make decisions that'd make you happy, that keep you close to your passion. But these feelings begin to change when they are for others, especially when you see the other succeeding, and leaving his "duty" to rot. But his is the gray character we are and this is the gray character Guna is. I haven't a clue how to describe Atul Kulkarni's performance as Guna, except maybe to say that his depiction of a man going through a huge dilemma is one of the best, I've seen. Spellbinding! It certainly must not have been effortless and doesn't look like it either. In fact, I wonder, if preparing for this role changed him as a personality and a person. All the other performances are completely sidelined, and this time I don't feel too bad for them. The aspiring tamasha performer, Guna (Atul), comes from the lowest rung of poverty and lives in a remote village in Maharashtra. He's shunned by one and all, except for a few fellow will-do-anything-for-a-living friends. This situation creates a dilemma even in the viewer's mind. In such abject circumstances, is it right for Guna to pursue his dream? We, the educated, the open-minded have to remind ourselves that now that the question has come, the answer should be "Why not?" And you still struggle. Most of us might not have taken the steps Guna takes, if we were put in his situation. And yet, we know he's doing the right thing. His first service is to himself, ain't it? And this is only the main struggle the main character is going through. There are many issues the side-characters are struggling with. There are smaller issues that the Guna is struggling with. And you are aware of the constant tug-of-war between passion and duty. You also figure the various solutions different kinds of people have sought. There is an extremely valid point Natarang tries to make, which is not related to this tussle at all. That each of us has a masculine and feminine side to ourselves. Unfortunately, this takes the side-track and is never explored in detail. Another day, another film, maybe. For now, it is used to accentuate Guna's predicament. The problem though is that the spot that Guna is in takes the longest time to settle down. Until the interval, you are just a bystander, and don't feel much for Guna. It's only much later that the build-up takes you to a wonderful climax. It's one of those films that completely bowls you over as it progresses. It takes its time to grow on you, but if the feeling is that of satisfaction while walking out of the theater, it's only a minor crime. Concept: Passion vs. duty. Follow passion. General Look and Feel: It's peppered with song and dance, but overall, it's a pretty adult topic. 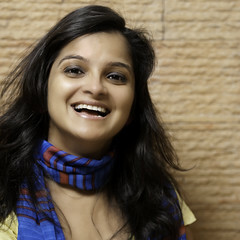 Hi Meetu, Nice to see U have started writing on Marathi movies. Keep it up! Shreyas has posted 1 comments and has rated 0 movies. See Shreyas's page for more details. @Shreyas at your service, sir! @Pradnya you are right, my bad! will correct it immediately. Thanks a ton for pointing it out! @Dattaprasad It's doing really well. And has won awards too. @atul yeah, you can say that. It's like Dravid scoring a century but Sehwag taking the man of the match because he made much more, much faster. Hey .. i thought the whole tussle on gender roles was expressed beautifully and has not been promoted in the film .. it is a stellar film. Am glad it is doing well. janaki has posted 3 comments and has rated 0 movies. See janaki's page for more details. @Ruchita where did you see it?